A solo skirmish against the AI in Steel Division. 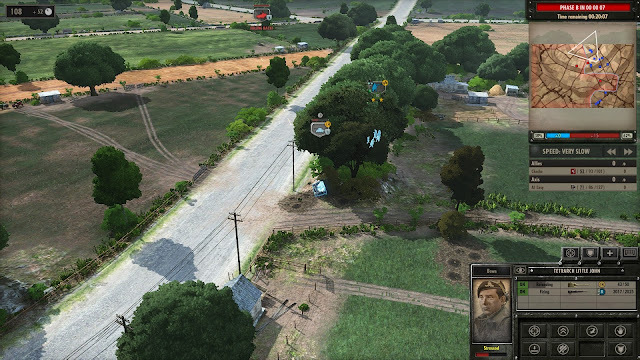 British Airborne vs a Panzer Division in the 112 area. During this skirmish, Tetrarch Light Tanks were all the armor we had for a considerable period of time. During a not-so well thought dash uphill, these airborne troops drew fire from a German Flakpanzer 38(t). A birdseye view of the tactical situation. 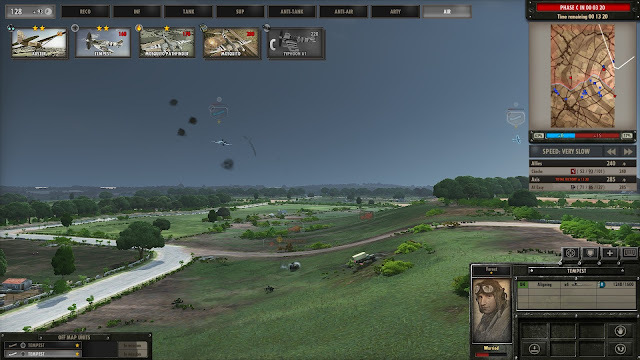 The German Gepard (red icon, foreground) is firing at the British airborne troops in the left background. 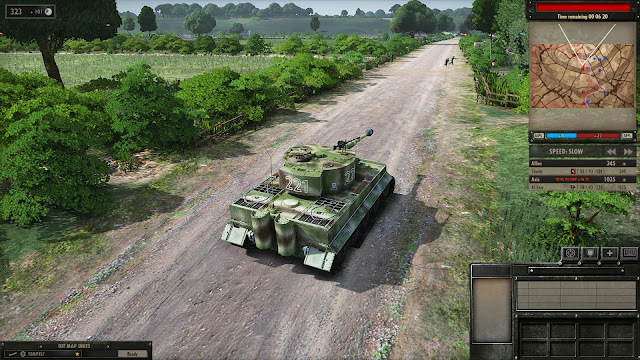 I am moving a light tank (right, blue icon) towards the tree line, hoping it will get the German flakpanzer by surprise. The German Gepard started pulling back after a few rounds. The gunnery of the British tankers was almost trashed due to the rapid rate of fire of the German vehicle. 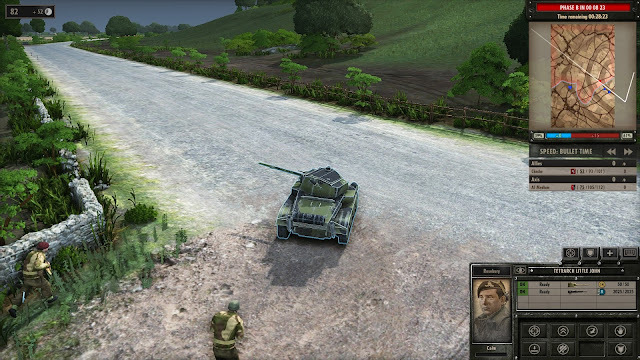 Later on, the German vehicle made the mistake of stopping. Easy target for the Tetrarch light tank! 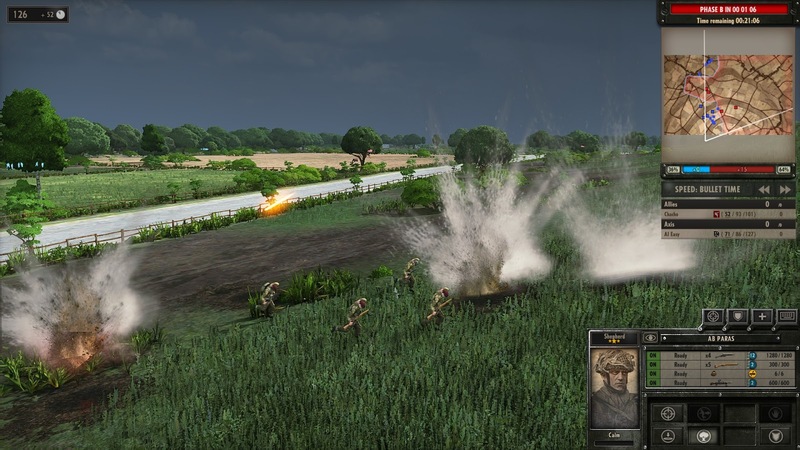 This wargame keeps getting my attention despite its RTS roots. Although some RTS antics are still very evident, like the continuous reinforcements and extremely loose order of battle, the game succeeds at delivering very intense and fluid micro tactical situations like the one shown here. As you can see, I'm playing at grandpa's speed (very slow), but this choice of speed has become a necessity for catching these enjoyable tidbits rather than an inability to cope with giving orders to my troops. At the higher scale of battle, the outcome of the scenario made sense. I tried hard to push the Germans back, but in the end I was bluntly defeated because I had no significant medium or heavy tanks at my disposal. 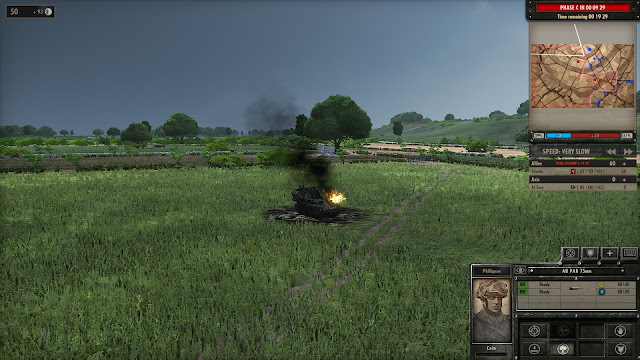 The Germans were able to field medium tanks from the middle of the battle and the pain was felt across my ranks. 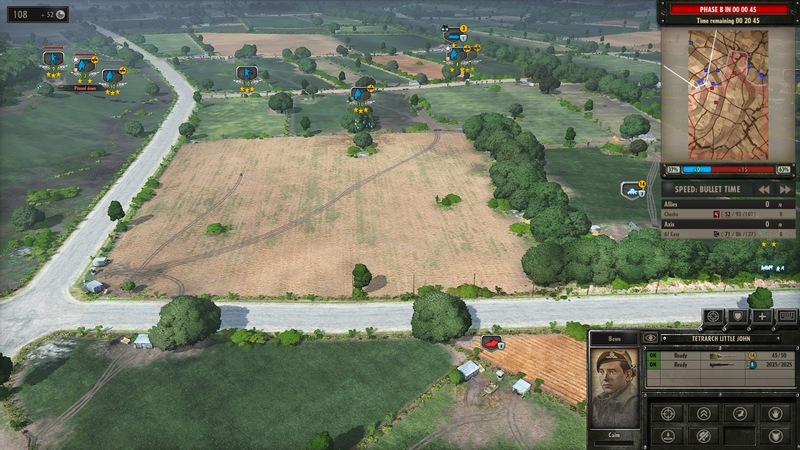 The AI was clever at choosing the point of main effort (a hill that dominates a considerable part of the battlefield. ... but the German tank-grenadiers combo ruined the day for us.